This looks really great. I do love the subtle “grout” with color differences. You probably said before, but did you design it? THanks. Melanie, I saw a photo and worked from there. 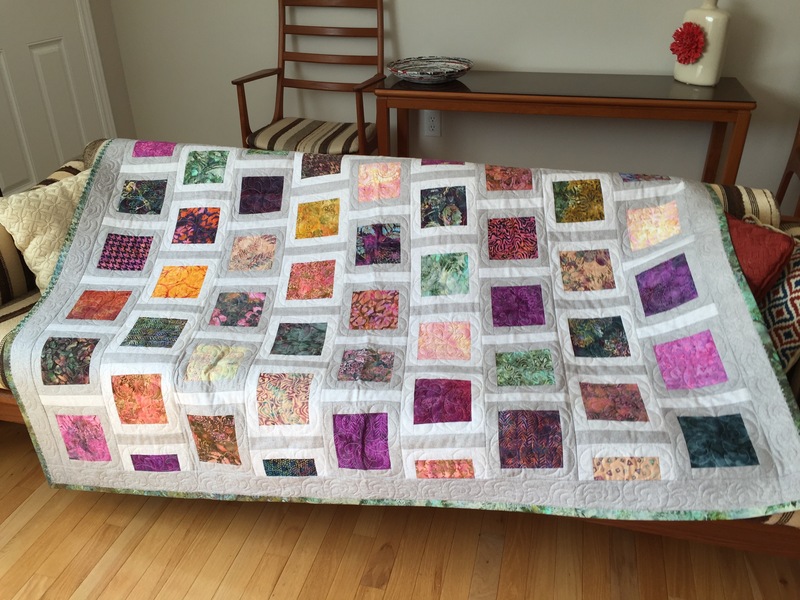 I was teaching a class and wanted the gals to be able to analyze quilt construction from photos of completed quilts. I realized I had some charm packs and decided to give the quilt a try. It’s actually a very basic design with impact when done. A nice simple modern quilt. Will you mind if I use the layout? I have a large lap quilt to make and this idea would be just the thing. It’s all yours! If you need help figuring out the construction just ask. But I’m guessing you see how this was put together already. 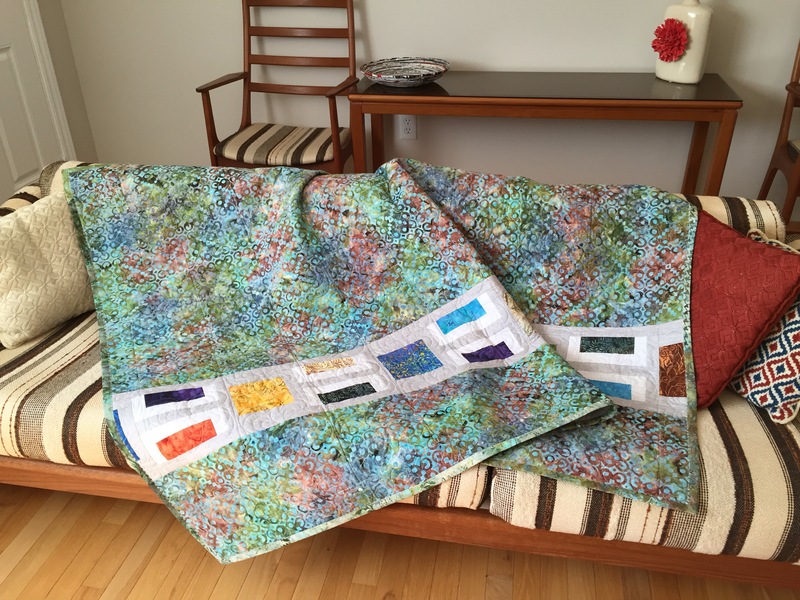 I finished by quilting in the hoop which took a bit of planning – in the end I embroidered only the blocks (with borders) and not the joining strips. I stabilized the layers by stitching in the ditch across the horizontal lines and not the verticals which would have required the jogs. Yes, pretty easy assembly I think. I quilt on my longarm so would do an edge to edge, probably something pretty simple so it doesn’t interfere with the clean lines. Thanks much!